Below you can view all the homes for sale in the Serenity Ridge subdivision located in Aurora Colorado. Listings in Serenity Ridge are updated daily from data we receive from the Denver multiple listing service. To learn more about any of these homes or to receive custom notifications when a new property is listed for sale in Serenity Ridge, give us a call at 720-580-6694. Call Me Today To Set Your Private Showing As This One Won'T Last Long. MLS#3296863. RE/MAX Masters Millennium. Serenity Ridge is a wonderful community with access to parks and trails, close to schools and amenities! MLS#1867746. LIV Sotheby's International Realty. It's only $43.67 per month and pays for itself in savings on your electric bill. MLS#4071415. DANYLIW & ASSOCIATES. Newer fences too. Showing starts from 3/13. MLS#7647189. Brokers Guild Classic. 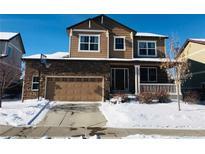 Minutes from CC Schools, Southlands Mall, & E-470 for Easy Commuting to DIA. MLS#6563265. HomeSmart Cherry Creek. Enjoy this great neighborhood that's close to Southlands shopping, walking and biking trails, and wonderful schools. MLS#6069902. RE/MAX Masters Millennium. Stop by the sales office today for more information! MLS#6951418. Richmond Realty Inc.
Stop by the sales office today for more information! MLS#6580181. Richmond Realty Inc.
Stop by the sales office today for more information! MLS#2931031. Richmond Realty Inc.
(Images are of model home. Home does not come furnished) MLS#6786708. Richmond Realty Inc.
(Images are of model home. Home does not come furnished.) MLS#1607128. Richmond Realty Inc.